What is PVC and How is it Used in Chemical Containment Applications? 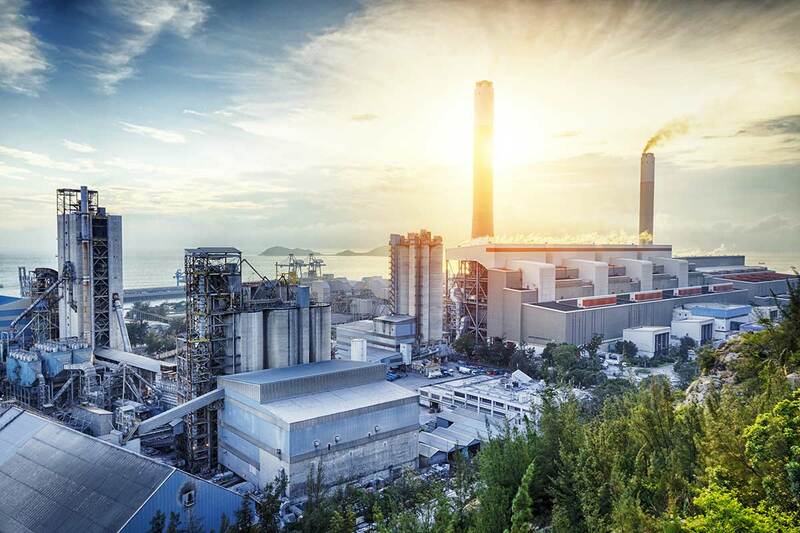 Effective chemical containment is a necessity, but there are innovative materials used in the PetroChemical industry that prove highly resistant to acids and other corrosive liquids. One such material is PVC. What is PVC? Dollar for dollar, polyvinylchloride (PVC) is the best, most versatile and resistant material to use in frack water storage tanks or other containers used for gasoline, fuel oil, or a number of other applications. What is PVC and How is it Used in Industrial Environments? PVC is one of the most resistant polymeric materials, making it virtually impervious to strong acids, alkalis, and salts. Included in that group are Polyethylene, Polypropylene, and Polystyrene. The factor that sets PVC apart is that PVC is significantly more resistant to organic solvents and oxidizing agents than all three of these other polymers. For example, it is considered to be chemically resistant to Sulfuric Acid up to 80%. Additionally, PVC has one of the smallest environmental footprints and is very well understood in industrial industries. A tank using PVC materials that is purchased today will withstand years of normal service in the field. PVC is the best choice for your containment system not only because it resists erosion— it’s more durable as well. PVC is a polar polymer, meaning it’s mechanical bonds are outstanding because of the strong interaction that happens along the molecular chain. In its rigid or flexible forms, PVC withstands high stress. Rigid PVC is rated as hard and robust, while the flexible form of PVC is described as soft and resistant to strain. PVC is consistently among the strongest options available when comparing plastics in tensile strength, bending strength, compressive strength, and fatigue strength. As a result of its strength and durability, PVC is much less likely to develop the stress fractures associated with other containment tanks, reducing the number of hairline fractures and eliminating the issue of erosion. It also aids in the decrease in the potential for leaks, saving money in the lack of necessity for replacement tanks, repairs, or fines due to leaks. Because of PVC’s composition, it is a nearly perfect solution for your chemical containment needs, but because it is also inexpensive to produce, it saves you money as well. Not only is the production cost for PVC less than other types of polymers, costing you less, it works better than other containers to prevent leaks, saving you less down the road as well. PVC is a more environmentally friendly choice for a number reasons. It’s recyclable, but it’s environmental benefits extend far beyond it’s ability for reuse or repurpose. It releases very little carbon dioxide, and, according to ChemicalSafetyFacts.org, it has very low greenhouse gas emissions. When PVC is used to create wall coverings, it emits far fewer harmful volatile organic compounds (VOCs) than regular house paint. The VOCs it does emit dissipate much faster than paint. As far as its use in a frack or acid containment tank, PVC is the best environmental choice, It’s strong and the likelihood for leaks is significantly diminished, but it also emits less carbon dioxide than other product. The composition of PVC is 57% chlorine (derived from salt). As a result, it also uses less oil in its creation than other plastics, which rely entirely on oil. It has one of the smallest environmental footprints and will withstand years of normal use within the field, even when used in a containment tank for a highly erosive material. This will reduce your need for an early replacement. Additionally, because of its superior chemical composition, PVC lasts far longer than other types of plastics. While other plastics may need to be replaced, or while frac tanks coated in epoxies may need to be recovered or replaced more frequently, PVC can have a service life of more than 15 years. Not only is this better for the environment, it diminishes replacements costs as well. Not only can a PVC containment system be used for fracking sites and environmental remediation sites, but because of its strong chemical composition, these containers can also be used for most acidic chemicals, hydrochloric acid resistance, as a holding tank for fuel or gasoline, and even sulfuric acid at up to an 80% solution. 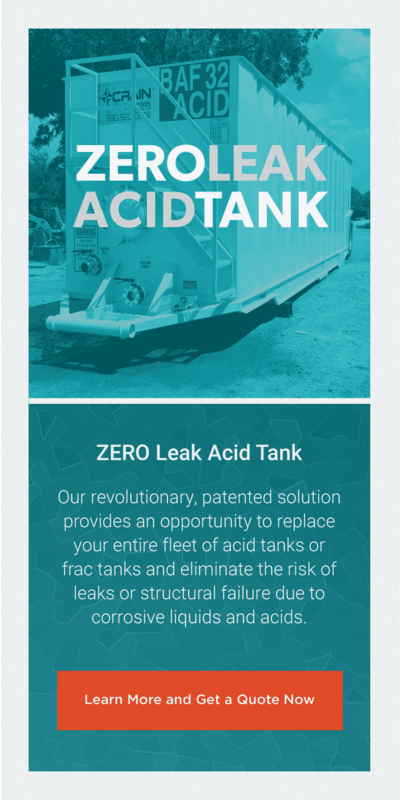 At Texoma, we are proud of our ZERO-Leak Acid Tanks. It decreases fines, eliminates the need for remediation, and significantly reduces environmental contamination— all at a lower cost for an acid tank with a longer lifespan. You’re spending less for a greener solution.